Free Books for Reviews – Review St 3rd Edition is Out! **Keep (Seaside Pictures Book 2) (Deal, Not Free) by Rachel Van Dyken. Cost: $1.99. Genre: Adult Contemporary Romance Deal, Sponsor, Rock Star Romance, NA, NY Times Bestselling Author. Rated: 4.9 stars on 76 Reviews. 297 pages. ASIN: B01IC1I42O. NY Times & USA Today Bestselling Author Rachel Van Dyken. **Broken Love (Love Stings Series Book 1) by Evan Grace. Price: Free. Genre: Contemporary Romance, Romantic Suspense, Romantic Comedy. Rated: 4.7 stars on 63 Reviews. 249 pages. ASIN: B01BPM6FAU. **Clash by C.A. Harms. Price: Free. Genre: Contemporary Romance. Rated: 4.7 stars on 54 Reviews. 204 pages. ASIN: B01CQ0ODDG. *The Texan: A Tale of Betrayal & Revenge (Deal, Not Free) by Anne Carey. Price: $0.99. Genre: Adult Romance Deal, Sponsor, Contemporary Romance. Rated: 4.9 stars on 15 Reviews. 261 pages. ASIN: B01GKKKM0Q. *Loving Lindsey (The Protectors Book 1) by Patricia Keelyn. Price: Free. Genre: Contemporary Romance. Rated: 4.7 stars on 41 Reviews. 276 pages. ASIN: B01FE74LLM. **The Sheikh’s Unforgettable Lover (The Sharqi Sheikhs Series Book 1) by Leslie North. Price: Free. Genre: Adult Contemporary Romance, Sponsor, Coming of Age, Contemporary Fiction. Rated: 4.7 stars on 49 Reviews. 170 pages. ASIN: B013HD7K1I. *Cruising for Love (The Escape Series Book 2) (Deal, Not Free) by Ann Omasta. Price: $0.99. Genre: Adult Contemporary Romance Deal, Sponsor, Contemporary Romance, Romantic Comedy. Rated: 4.6 stars on 5 Reviews. 159 pages. ASIN: B01G0LUYOO. *A Cyber Affair: The Online Search for Mr. Right (Deal, Not Free) byLonz cook. Price: $0.99. Genre: Adult Contemporary Romance Deal, Sponsor, United States, Contemporary Romance. Rated: 4.8 stars on 8 Reviews. 258 pages. ASIN: B01GMABSQQ. **Crashing Down (Stone Cliff Series Book 1) by Cathryn Fox. Price: Free. Genre: Contemporary Romance, New Adult & College, NY Times Bestselling Author. Rated: 4.6 stars on 40 Reviews. 200 pages. ASIN: B00K39CKHE. NY Times Bestselling Author Cathryn Fox. ***HOOKED ON YOU by Lindsey Brookes. Price: Free. Genre: Contemporary Romance, Sponsor, Golden Heart Finalist, Romantic Comedy. Rated: 4.1 stars on 121 Reviews. 324 pages. ASIN: B008B0JPAM. *Candidate For Love (Classic Romance Collection Book 2) by Lita Lawson. Price: Free. Genre: Contemporary Romance. Rated: 5 stars on 7 Reviews. 173 pages. ASIN: B0167SJ0IQ. 5 Great Contemporary Books for Friday! 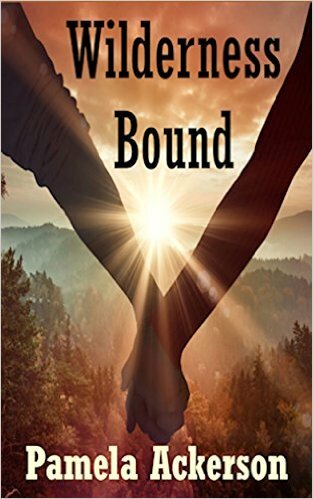 *Wilderness Bound (The Wilderness Series Book 3) (Deal, Not Free) by Pamela Ackerson. Price: $0.99. Genre: Time Travel Romance Deal of the Day, Sponsor, Time Travel Science Fiction, Western Romance, Contemporary Romance. Rated: 4 stars on 5 Reviews. 142 pages. ASIN: B015D3W9XY. *Warriors of the Wilderness (The Wilderness Series Book 4) (Deal, Not Free) by Pamela Ackerson. Price: $0.99. Genre: Time Travel Romance Deal of the Day, Sponsor, Time Travel Science Fiction, Contemporary Romance, Western Romance. Rated: 5 stars on 1 Reviews. 119 pages. ASIN: B01D1U80FW. *Charlotte: A Marked Heart Novel by M. Sembera, Margaret Civella. Price: Free. Genre: Contemporary Romance, Women’s Fiction, New Adult & College, Romance, Sagas, Contemporary, Humor, Romantic Comedy. Rated: 4.9 stars on 11 Reviews. 368 pages. ASIN: B00N5BCT82. *Stolen Goods: A Secret Baby Romance (Deal, Not Free) by Lola White. Price: $0.99. Genre: Adult Romance Deal of the Day, Sponsor, Heist, Contemporary Romance. Rated: 5 stars on 1 Reviews. 79 pages. ASIN: B01G7IO8OM. *In Your Dreams (Repeat) by Amy Martin. Price: Free. Genre: Contemporary Romance, Paranormal & Urban Romance. Rated: 4.3 stars on 80 Reviews. 252 pages. ASIN: B008TEW368. Posted on June 17, 2016 Author KibetCategories $1 Contemporary Sports Romance Kindle Book Deal, Contemporary Romance, Contemporary Romance Deals for Kindle, Free Contemporary Romance, Free Contemporary Romance for KIndleLeave a comment on 5 Great Contemporary Books for Friday!